It's been one year since a virus triggered junk DNA and people all over the world started changing, becoming something else, craving blood. It's been ten months since the word vampire stopped being something from old monster stories and Hollywood movies. It's been six months since our world and theirs erupted into war, two since an uneasy peace was signed, and one hour since that peace was shattered. The war is here again—the vampire war. Our world will burn; our world will bleed. When anyone can turn, when every street is a battlefield, there is nowhere to run. 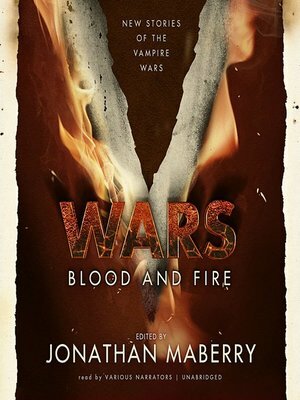 V Wars: Blood and Fire features all-new stories of the Vampire Wars by Kevin J. Anderson, Scott Sigler, Larry Correia, Joe McKinney, Yvonne Navarro, Weston Ochse, James A. Moore, and Jonathan Maberry. Scott Sigler is a popular podcaster and a New York Times bestselling author. He lives in San Francisco with his wife and their dog.